Static IPs on the internet usually cost extra from your ISP. Many of us have dynamic IPs which change every so often. This can be annoying if you want remote access to our Raspberry Pi our home media servers. 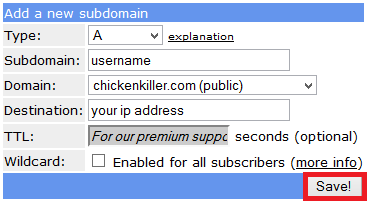 Dynamic DNS solves this by automatically registering your new IP address with a domain like crabdance.com. I have tried several free dynamic DNS providers over the years. 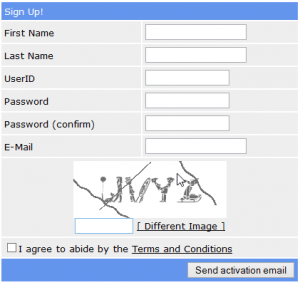 They have been increasingly getting annoying to manage because they nag your free account to log in once a month to reactivate their account. Fortunately, freedns.afraid.org have a completely nag free gratis dyndns service and it is very easy to setup for your Raspberry Pi home media server. If you have a separate HTPC that you don’t leave on all the time then using the low powered Raspberry Pi to keep your dynamic DNS address updated without increasing your electricity bill significantly. 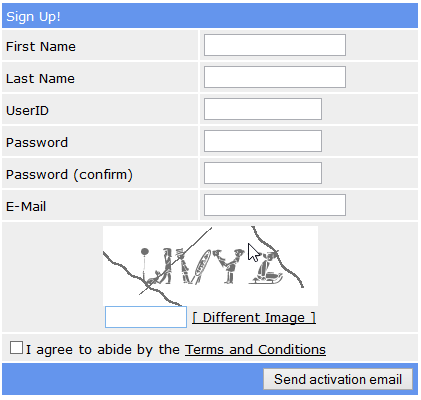 Create your free account and remember to click the activation link in your email. You will get a message that looks like an error but it isn’t so don’t worry. If you are using the Raspberry Pi as a media server now you can access all of its services and programs from outside your home network. You will need to set up port forwarding of course.